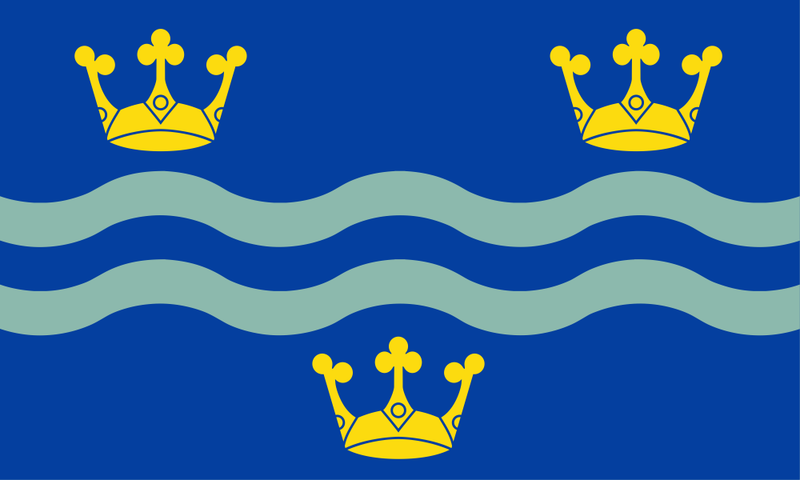 The public vote for the Cambridgeshire Flag competition has now commenced and will close at 18.00 on Wednesday 31 December. The wavy light blue stripe represents the river Cam/Granta; it is crossed by a vertical dark blue stripe symbolising the bridges that cross over the river. Together these are a reference to the derivation of the county’s name. 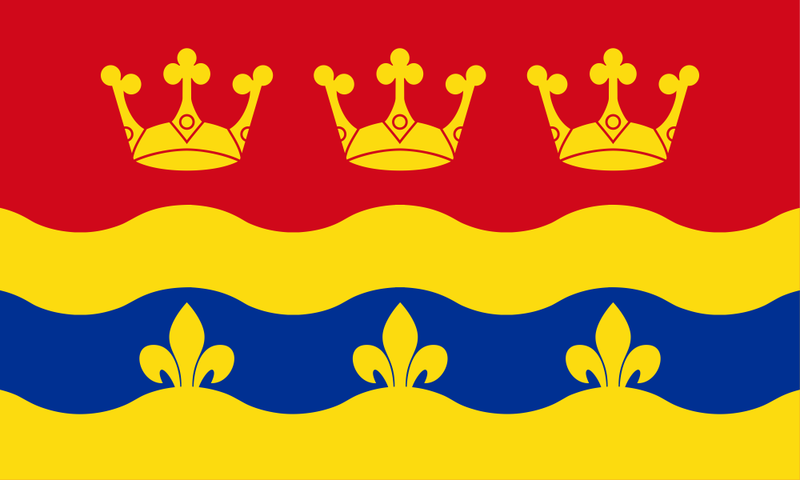 On the vertical stripe, the three golden crowns are taken from the traditional arms of East Anglia; these also appear on the arms of the Diocese of Ely, located in the county. The three crowns on red refer to the the Isle of Ely, where they have been used by both the former council and the Diocese. The broad blue wavy line represents the River Cam. On this three fleur-de-lis, as found on its coat of arms, represent the City of Cambridge. 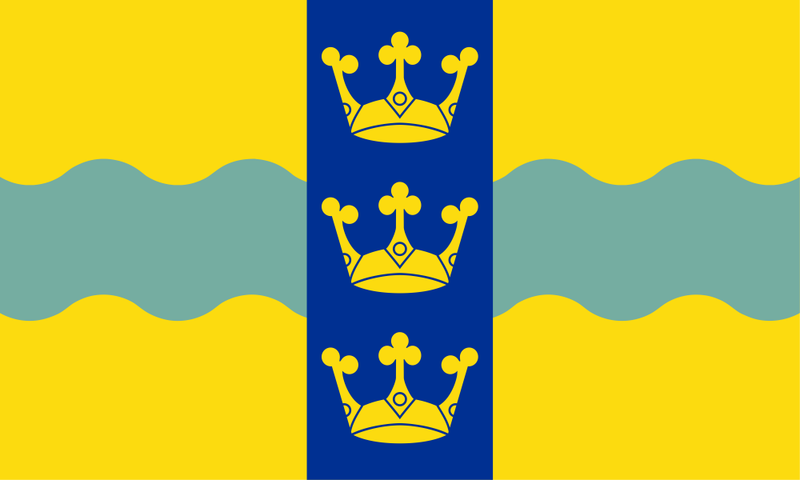 The crowns represent the coronet of Ely. The Wake knot represents the folk hero Hereward the Wake. The book represents Cambridge University. 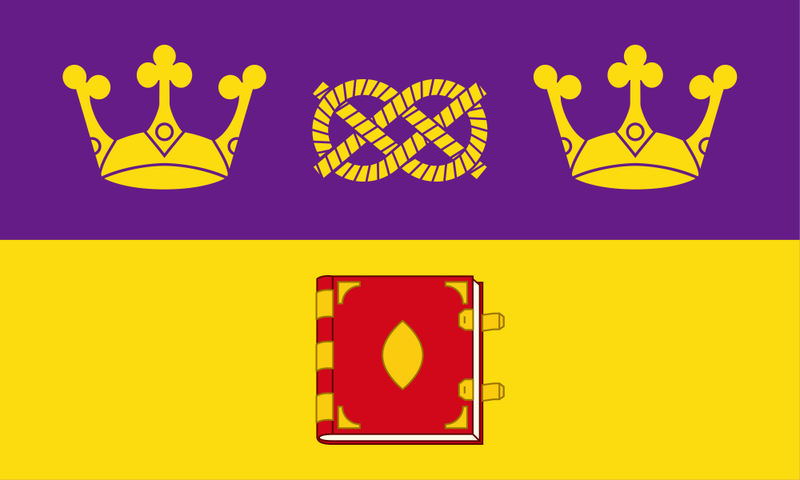 Purple and gold are the colours of Cambridgeshire. 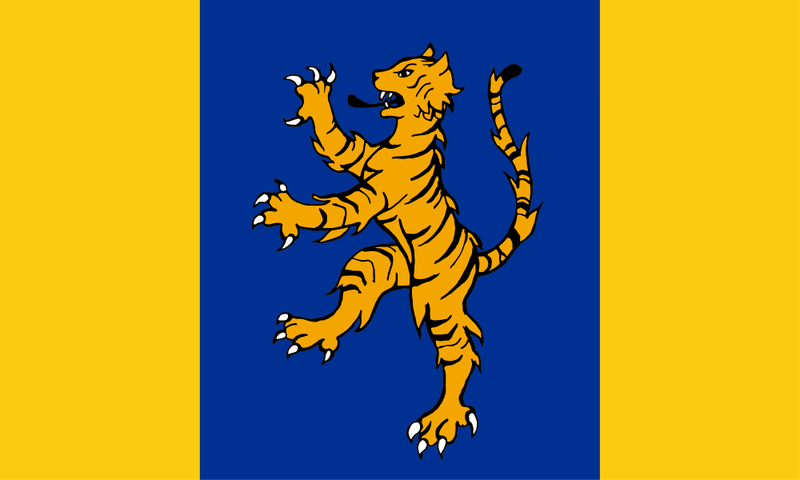 The Fen Tiger refers to the Cambridgeshire Regiment and more generally to the people of the Fens. Blue represents the county’s waterways; yellow, the rich farmland. The fleur-de-lis represent the City of Cambridge, as found in the city’s coat of arms. 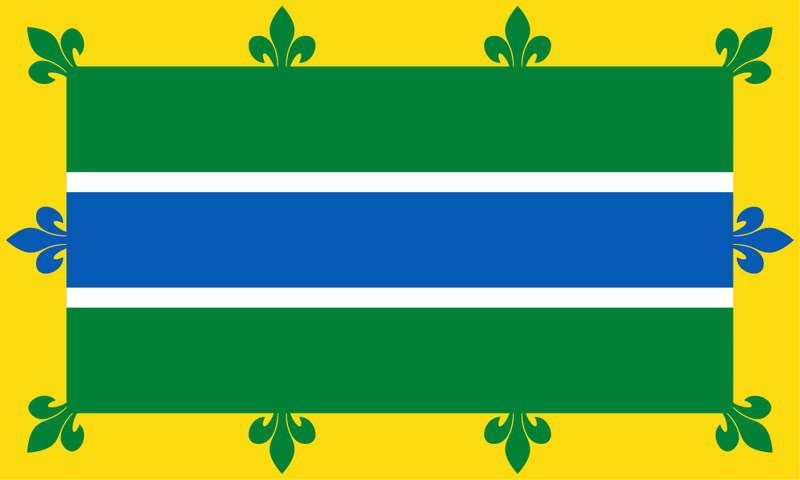 The blue stripe represents the county’s rivers and waterways and the two green stripes, its extensive agricultural land. Yellow represents enlightenment and wealth from the county’s universities, scientific and technological endeavours and industry.